4/30/2009- Congratulations to Captain Scott Feather and his wife Paramedic/RN Missy on the birth of their daughter Abigail Joy born at 22:50 hours on 4/30/2009 and weighing 6 lbs. 13 oz. and 19-3/4" long. Stations 1 and 27 responded to a two vehicle MVC on I-95 at the 50 mile marker northbound, Thursday morning 30-April at 01:33. Apparently a southbound passenger car traveling at a high rate of speed, entered the breakdown lane, striking a disabled Taurus Station Wagon in the rear. Both cars received heavy damage from the collision, with the Taurus being pushed into the woods. No one was in the Taurus when the collision occurred. Click here for more information. Click here to see submitted pictures of the Horry County Wildfire. 4/28/2009 - Congratulations to Firefighter Tony Keen for receiving his EMT/B certification. On Thursday April 23, 2009 at 16:30, CCFR received a phone call from the SC FF Mobilization requesting units to respond to Horry County to assist with the wildland fire. Engine 1 and Engine 9 departed at 1932 hours. 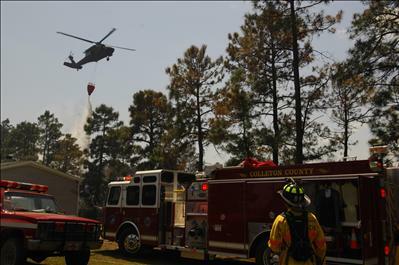 Click here to read about and see pictures of Colleton County Fire-Rescue's response to the wildfire in Horry County. 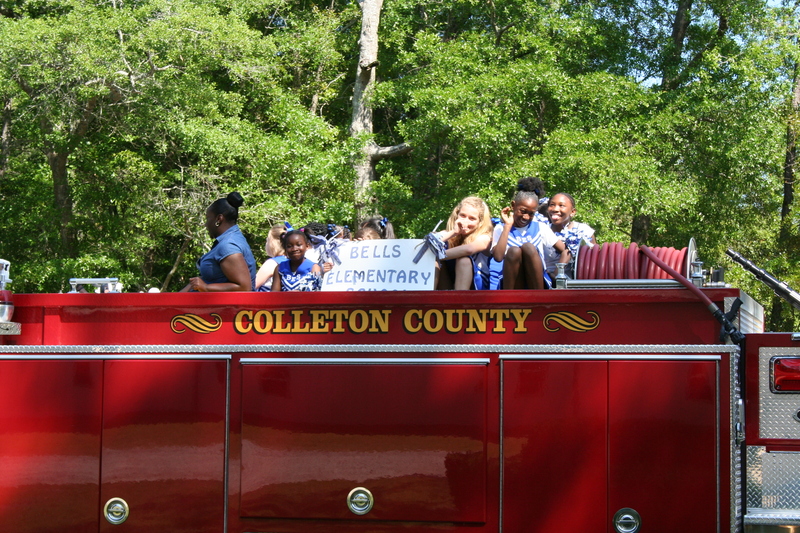 Engine 19 had the privilege of transporting the Bells Elementary School Cheerleaders during the annual Rice Festival Parade. This is the 34th annual Rice Festival which celebrates the rice planting heritage that helped found Colleton County. The focus is family entertainment that include live bands, arts and crafts, food concessions, cultural displays, and performances depicting our local heritage. Click here for more information. The wildfires in Horry County are now considered 80 percent contained. CCFR Engines 1 and 9 are currently attached to Task Force 5 and are staged in the Bass Pro Shops Parking Lot on North Kings Hwy just east of S.C. Hwy 22. Although Horry County Fire-Rescue units will continue to do mop-up on the wildfire for the following days and weeks, CCFR units will return sometime this evening. Click here to listen to Horry County Fire-Rescue communications online. The statewide burning ban continues. Engines 1 and 9 have been deployed to Horry County along with 8 personnel from CCFR as part of the S.C. Firefighter Mobilization to assist in combating the wildfires. They are currently attached to Task Force 10 and are providing ground coverage and structural protection while prescribed burnings are conducted. As of 09:30, approximately 19,600 acres have been consumed and the fire is 40% contained overall. 69 homes have been destroyed and another 100 damaged. Although no civilian injuries or deaths have been reported, one report indicated that two Forestry commission firefighters received burns during an emergency shelter deployment. Currently there are 33 departments from across both North and South Carolina assisting Horry County Fire-Rescue, Myrtle Beach Fire Department and North Myrtle Beach Public Safety. Additionally, 5 Blackhawk helicopters from the Air National Guard equipped with Bambi buckets are being used. Listen to Horry County Fire-Rescue online here. 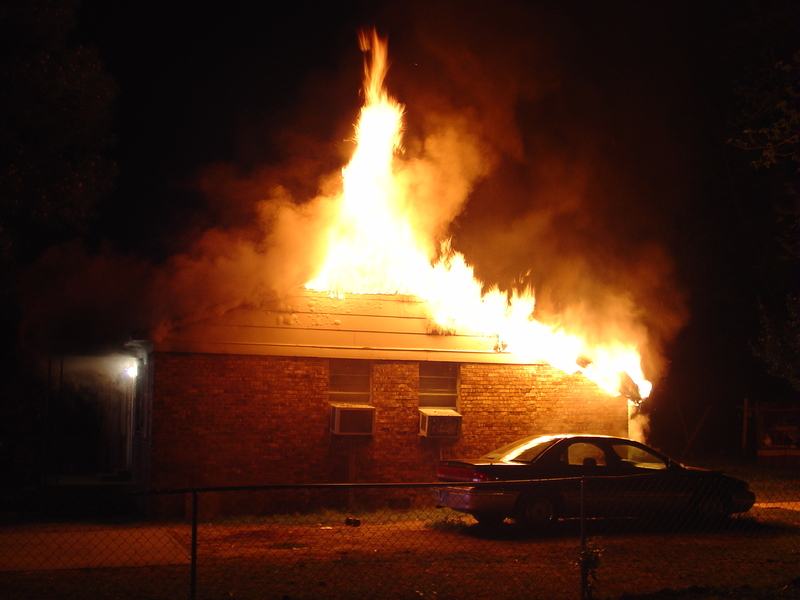 Stations 1, 6, 8, 12, 22 and 25 responded to a dwelling fire 4930 Ritter Road at 0248, Monday 20-April. Engine 6 arrived to find the doublewide mobile home approximately 50% involved. The mobile home had several additions, including a car port, utility room, enclosed rear recreation room and large work shop. Engine 6 used a deck gun to knock down the heavy fire conditions. Tender 6 supplied the initial water supply. Click here for more information. 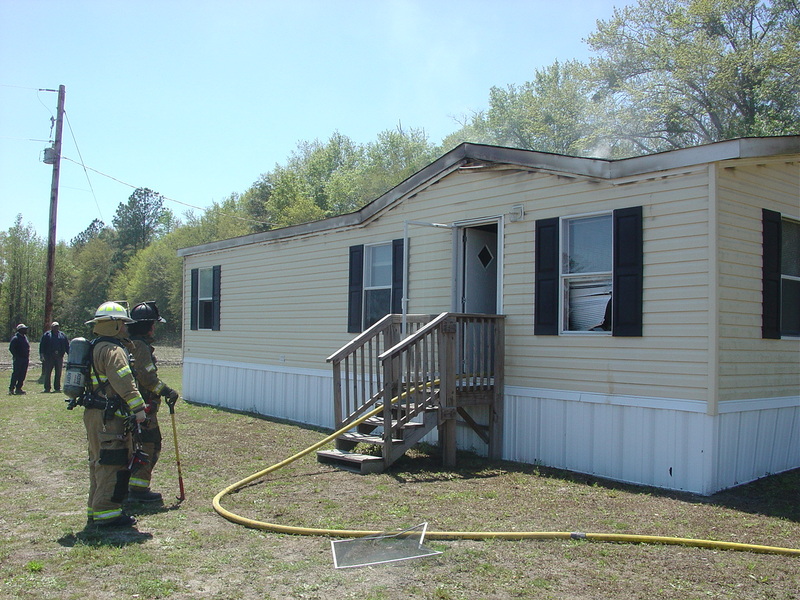 A two alarm fire occurred at 1064 Clover Hill Road at 0021, Sunday 19-April. Fire units from Station 6 in Green Pond arrived within minutes and found half of the doublewide mobile home engulfed in flames. Fire was shooting 30 feet into the clear night air. Firefighters determined that all occupants were safely out of the dwelling and began to attack the flames with two 1-3/4 hand lines. Firefighters worked inside the structure for approximately 15 min. before being driven outside by the intense fire. Click for more info. 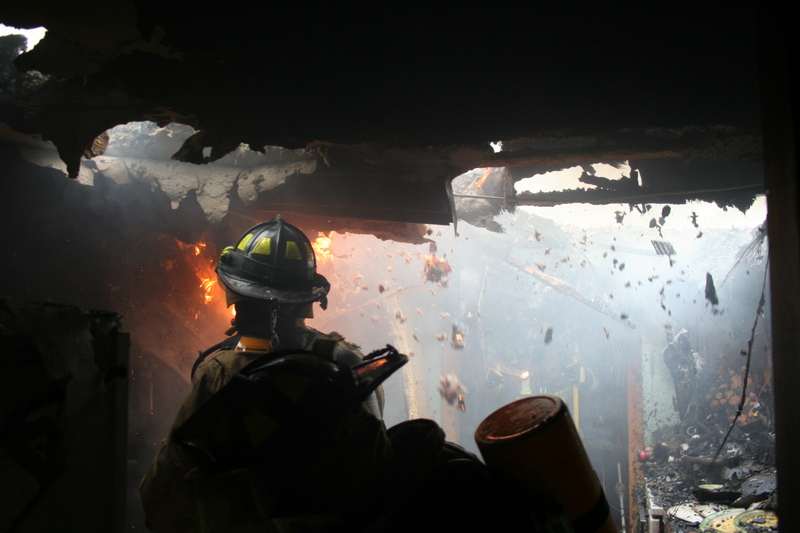 Stations 1, 12, 19, 26 and 27 responded to a house fire at 77 Red Dog Lane on Tuesday afternoon 14-April at 1604. Engine 1, Tender 27 and Medic 27 arrived to find heavy smoke conditions and fire burning through the roof. Firefighters used two 1-3/4 handlines and entered the building through the rear door. Bystanders advised of a cat was possibly still in the residence. Click here for more information. 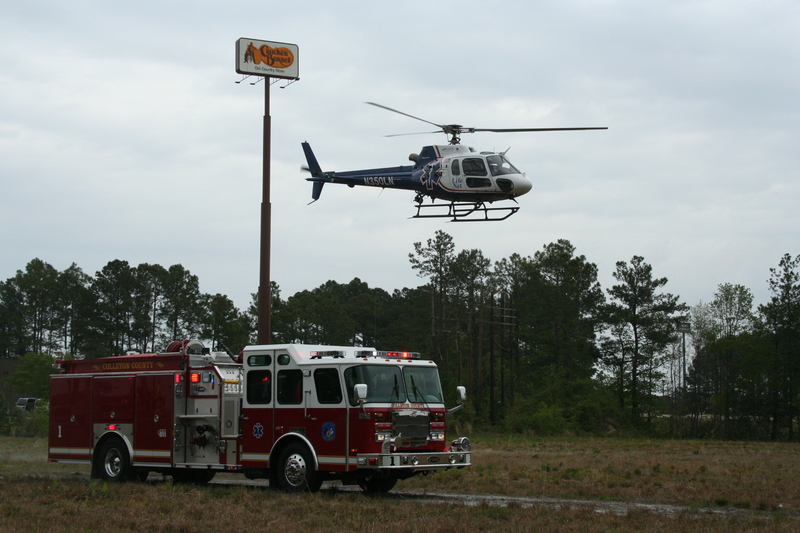 Stations 1 and 27 responded to a shooting incident on an isolated stretch of Cane Branch Road Monday 13-April at 1220. The midday shooting was the third such incident to occur in the last week in the county. The first two resulted in fatalities. The incident location was approximately one mile south of Sniders Hwy. Several passing motorists reported a man lying in the roadway, some stating the man had been shot. Click here for more information. Flames quickly spread from a utility room and through the attic of a residence at 117 Grayson Street, Saturday evening 11-April at 2221. The home is located in the Green Park Subdivision approximately 1 mile south of the City of Walterboro. Battalion 1 arrived to find heavy fire conditions in the one story brick veneer home. Tender 27 and Medic 27, followed shortly thereafter by Engine 1 deployed two 1-3/4 handlines to combat the flames. Click here for more information. 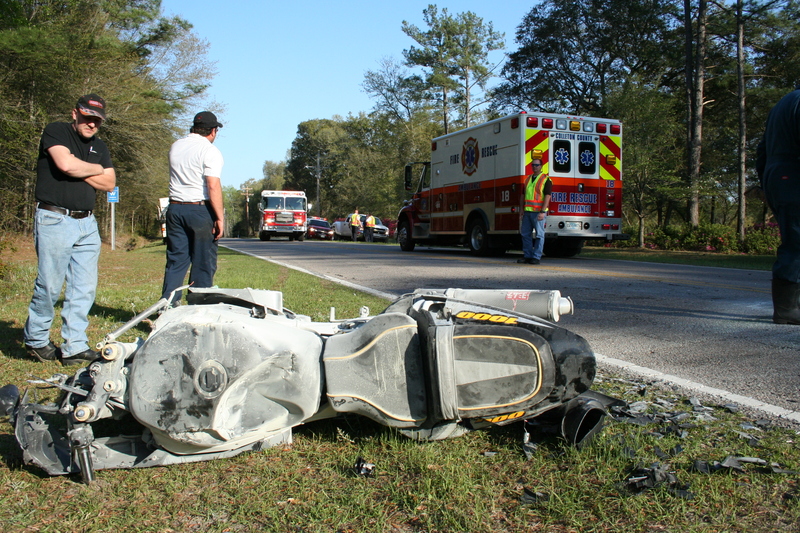 Stations 1, 4 and 18 responded to a car vs motorcycle accident on Sniders Hwy. west of Cane Street Wednesday 8-April at 1735. Apparently the small west bound car turned into the path of the east bound motorcycle resulting in a collision. The motorcycle caught fire following impact, but was extinguished by a bystanders. 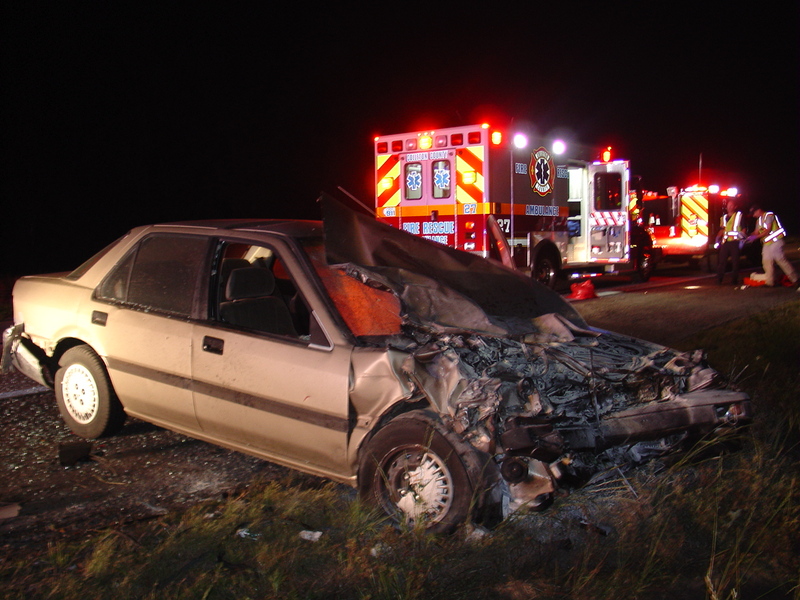 The driver received non-life threatening traumatic injuries, including fractures. Click here for more information. 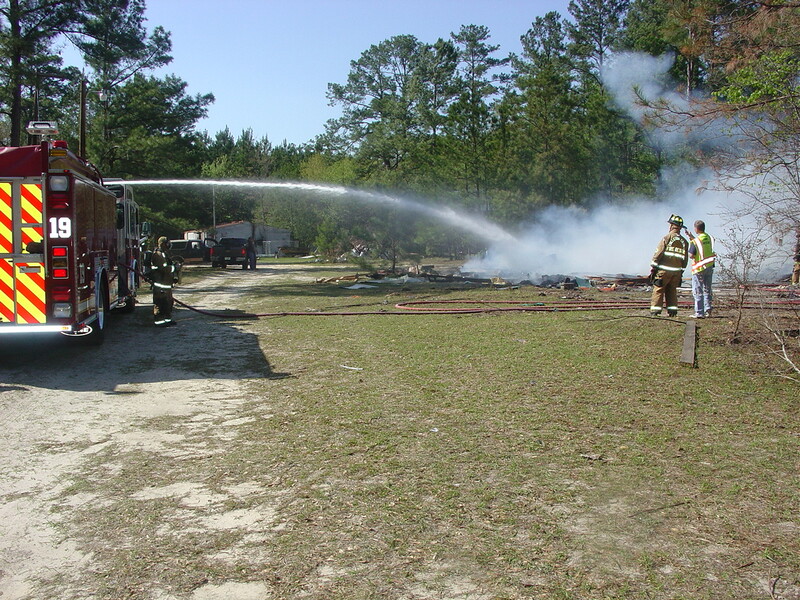 Stations 19,26,1 and 5 responded to a structure fire in the 1200 block of Jefferies Highway in Walterboro, Wednesday, April 8, 2009 at 16:05 hours. 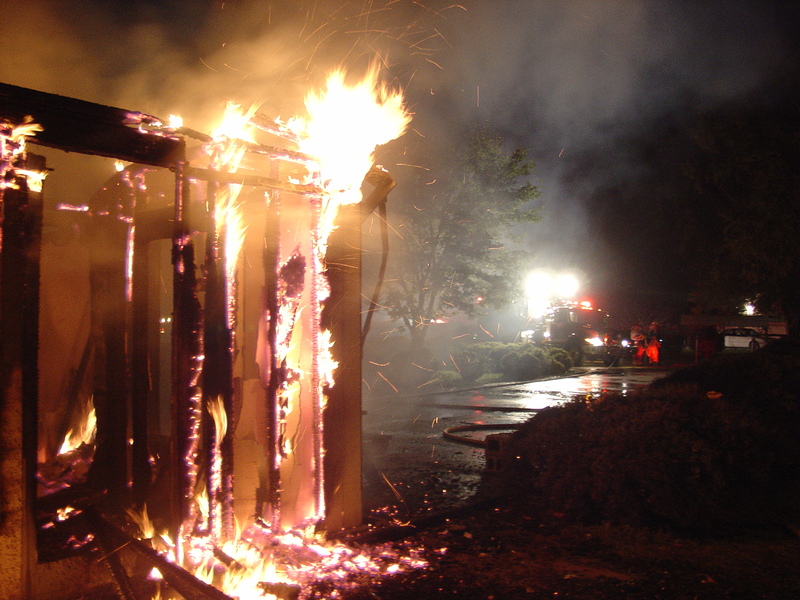 Engine 19 arrived in five minutes to find a fully involved shed that was being used for storage and had already collapsed Firefighters deployed one 1-3/4" handline and a booster line to extinguish the structure and confine the fire. Firefighters prevented the fire.... click here for more information. Stations 15,10,4, and 23 responded to a structure fire at 1189 Rum Gully Road in Islandton, Wednesday, April 8, 2009 at 13:05 hours. Engine 15 arrived in five minutes to find a double wide mobile home with a working fire inside. There were no occupants. 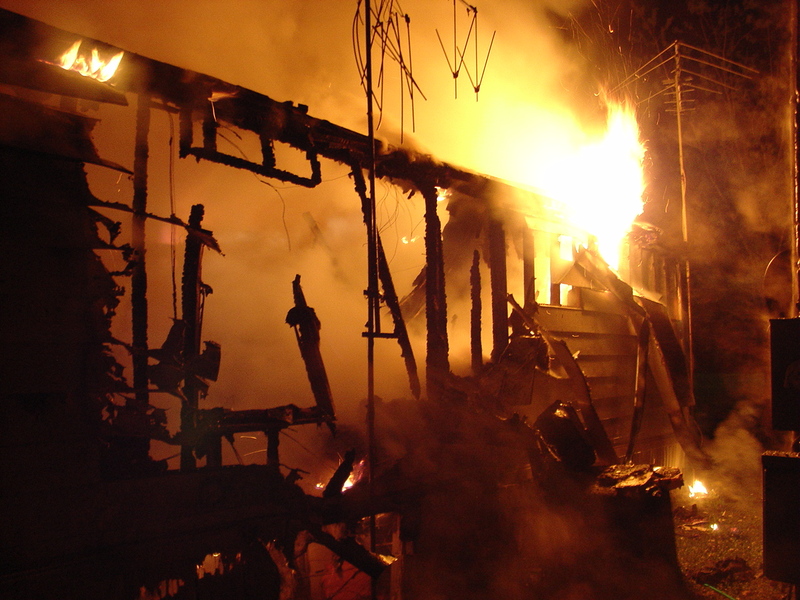 Two 1-3/4" handlines were deployed and an interior attack was initiated. Firefighters quickly brought the fire under control but the fire had spread vertically to the attic space...click here for more information. Colleton County Fire-Rescue will be operating the concession stand at the annual Relay for Life Event scheduled for May 15th. We need two liter drinks, cases of water, and any donations would be greatly appreciated. Additionally, if anyone is interested in helping out, please let me know.